I've heard good things about Smokin Jacks in Reedsville (Preston County). They've recently opened up a location in Morgantown called Smokin Jills. 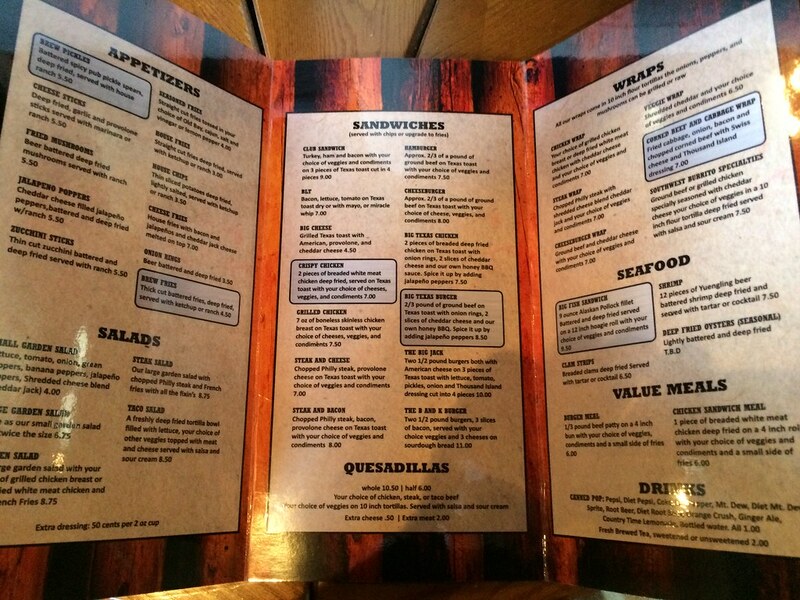 The two restaurants essentially share a Facebook page and a menu - one just calls Preston County home, while the other is in Monongalia County. 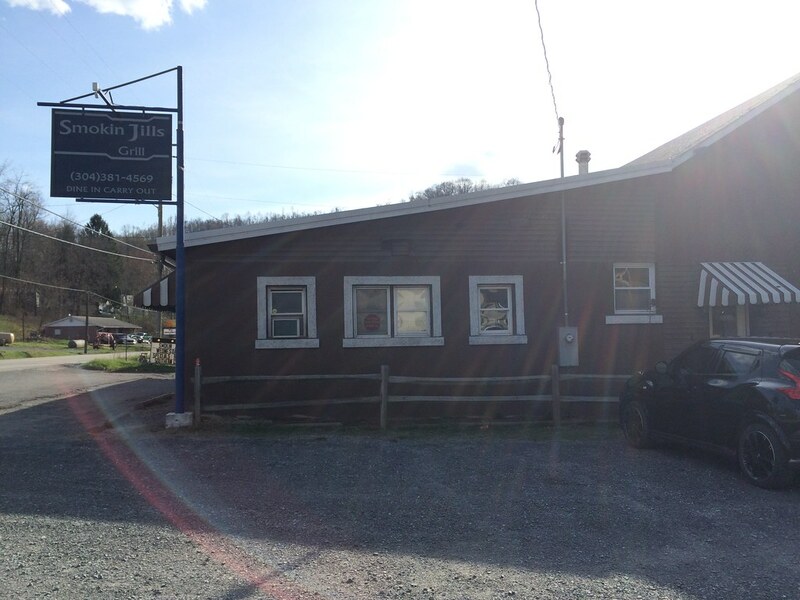 Smokin Jills is located out past Sabraton area toward Dellslow in the former Longneck Saloon space. 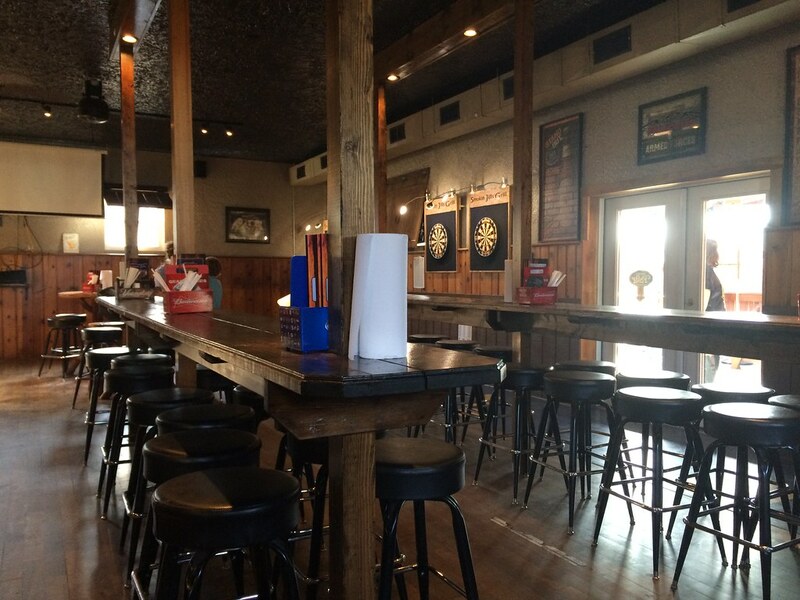 Inside, there are a few long rows of tables with bar stools and a couple high-top tables. Lisa and I happened to go on a Monday, which is 50 cent boneless wings night. I went with 12 boneless wings - buffalo style deep fried wings. 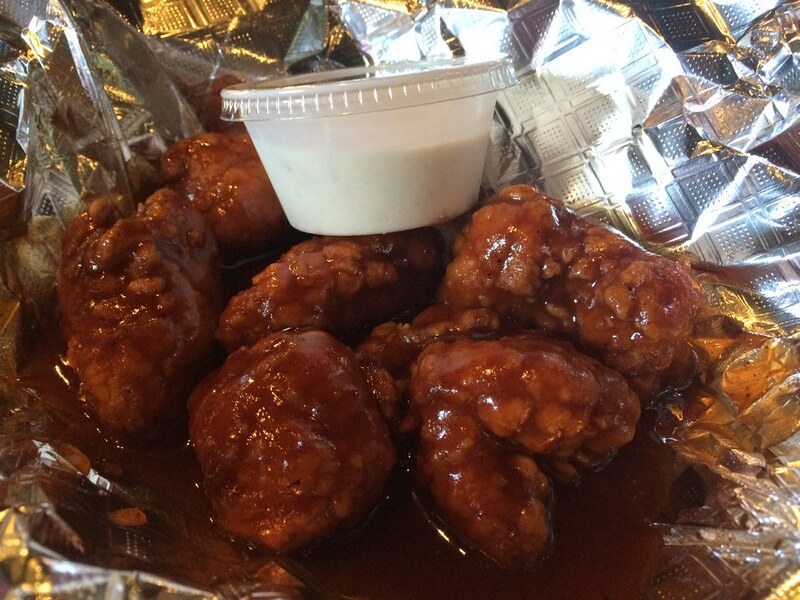 Six are honey BBQ and six are the house special spicy garlic ranch. 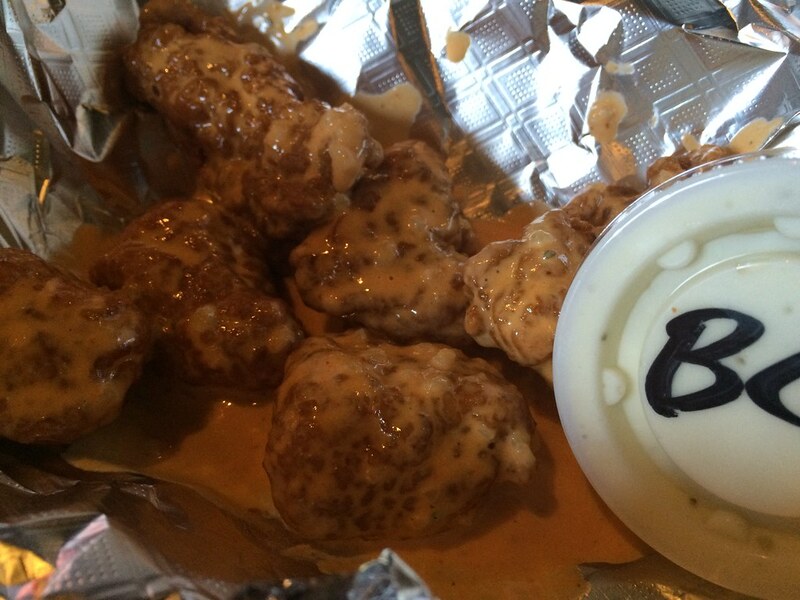 With 12 wings, you get two dips, so I tried both their ranch and bleu cheese. Honey BBQ is kind of hard to mess up, right? I liked my honey BBQ wings. Nothing really stood out to me about the sauce - just a little watered down, maybe. But still not bad. Better than many I've had. The house special spicy garlic ranch wings were heavier on the ranch, less so on the garlic. But not a bad flavor, but not a very memorable one either. 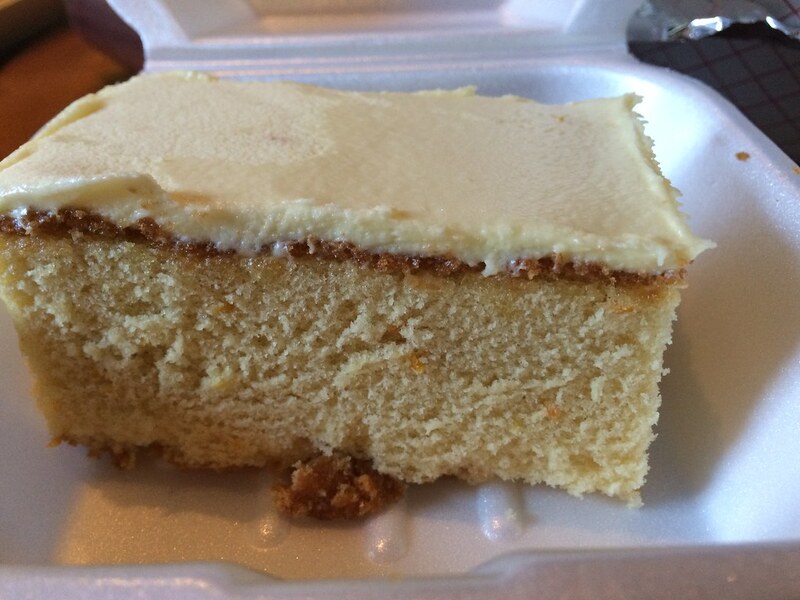 My favorite part was asking how much the orange sherbert cake was, and because it was served as part of a dinner, they didn't sell it separately. So, they gave us a piece for free! It tasted just like an orange creamsicle. Overall, the food really wasn't bad. Better than average bar food, I would say. I liked the honey BBQ, and the garlic ranch was decent, too. Our service was a bit off, as we were kind of ignored. And a bunch of guys came in at one point and sat at the bar and talked to the waitress, while we again were ignored. And then when the card machine wasn't working, our server was visibly angry. I think it was just a new waitress who was young and inexperienced. But, meh, a little unwelcome feeling. Except for the cake. Cake is always welcoming.